It is the time of year again where the Summer holidays begin and millions of us will be travelling within the UK or abroad for our holidays. There are numerous laws and regulations concerning travel and holidays which can be a legal nightmare to navigate through. This Guide is designed to give you a simple summary of the main consumer rights that you have as a holiday maker. If you are delayed for more than two hours then the airline have to give you two free phone calls, faxes or emails, free meals and refreshments appropriate for the delay and if there is an overnight delay then free hotel accommodation and hotel transfers. Please note that airlines will only pay reasonable expenses so you will not get money back for luxury hotels or alcohol. If the flight is delayed for more than three hours then you are still entitled to the above but provided that the delay is not due to extraordinary circumstances i.e. severe weather, an act of God etc. then you may be entitled to financial compensation. If your flight is delayed for more than five hours you can choose by Law to be re-routed to a different flight or have a refund. It is treated the same was as if your flight had been cancelled. There is an exemption due to extraordinary circumstances as mentioned above. Entitlements for delay are from 250 euros if you are delayed for more than three hours on a flight up to 932 miles and it ranges from up to 600 euros if you have a flight of more than 1,275 miles and you are delayed more than four hours. The Denied Boarding Regulations also cover when flights are overbooked. For example, airlines often overbook flights because people do not always turn up for flights. In the event of overbooking the airline has to by Law ask people to volunteer not to fly in exchange for benefits. These benefits are often negotiated between yourself and the airline but usually they take the form of cash or airport vouchers. If you do not volunteer and you cannot agree the benefits with the airline and you still are denied boarding then you have the same entitlement as if your flight was cancelled. You can demand that they re-route you with another airline or they can refund you the cost of the flight. What if the airline refuses to compensate you? If the airline refuses to compensate you then you can contact the Civil Aviation Authority. You should also refer the airline to the October 2012 Court of Justice of the European Union Ruling Case Number C-402/07 and C-432/07 as these were cases where airlines refused to provide compensation to passengers and were ultimately taken to Court and ordered to pay compensation. What if my airline goes bust before I travel? IF your holiday booking was ATOL protected then you are guaranteed a refund if the airline goes into liquidation and ATOL will also provide you with an alternative flight home if you are abroad when this happens. The ATOL scheme only applies when you book a package holiday that involves a flight. It is important to check whether the Travel Agent/Holiday Booking Company is ATOL protected and has an ATOL Licence Number. If you book the flight directly with the airline then this will not be covered by ATOL. (a) Delay Repay – this is a national scheme that most train companies use to pay compensation depending on the length of your delay. This compensation scheme normally only applies when you book through the rail provider directly so if you are using an online booking system such as Trainline.com this will not necessarily be covered. (b) Passengers Charter – this is a scheme that train companies still use but it is an older scheme that only pays out in certain circumstances. (c) Consumer Rights Act – if the train company does not provide the service with reasonable skill and care and you suffer extra financial losses then this act can be relied upon sometimes to request the train company provide you with compensation. If you decided not to travel because of a delay or cancellation then legally you are entitled to a full refund. Full refunds can also sometimes apply when you have begun your journey but cannot complete it due to the delay or cancellation and provided that you return to your point of origin. Refunds can be requested from a ticket office or if you booked your ticket through a third party such as Trainline.com then you can request the refund through that retailer. All refunds should be repaid within 14 days of request. Again, the Consumer Rights Act will apply here. Paying to travel by train is a service so it must be executed with reasonable skill and care and if that service falls below this standard then you are entitled to claim compensation. If you have made a request for a refund and have been denied unfairly we would advise you to make a formal complaint and if you were still unhappy with the handling of that complaint you could take the complaint to the Parliamentary Ombudsman for Transport Focus or if the complaint is about travel in London then to the London Travel Watch Chief Executive. It is important to remember with package holidays that when you book them normally it would be through a Travel Agent. The Travel Agent will be an ‘Agent’ for the company providing the holiday. That company is normally known as ‘the Principal’. Strictly in terms of Contract law your Contract is not with the Travel Agent but is with the Principal because they are providing the holiday. This will apply even if you have paid for the holiday by giving the monies to the Travel Agent. If you have a complaint regarding your holiday or if it was cancelled then the person responsible for upholding that Contract is the Principal i.e. the holiday provider, and not the Travel Agent. If the Travel Agent fails to inform you who that Principal is then you could be entitled to have a claim against that Travel Agent by failing to provide disclosure of that Principal. We have already mentioned ATOL protection above but it is important that when you book a package holiday that you ensure that the Agent who is selling that holiday is ATOL licensed. You should always ask them for their ATOL Licence Number. When you book a holiday the ATOL Licence holder or the Travel Agent (they should be one and the same person) must give you an ATOL Certificate confirming that you are ATOL protected from the moment that you pay money to them even if that payment is only a deposit for the holiday or flight. Please note that ATOL protection does not apply if you book the flights directly with the airline. 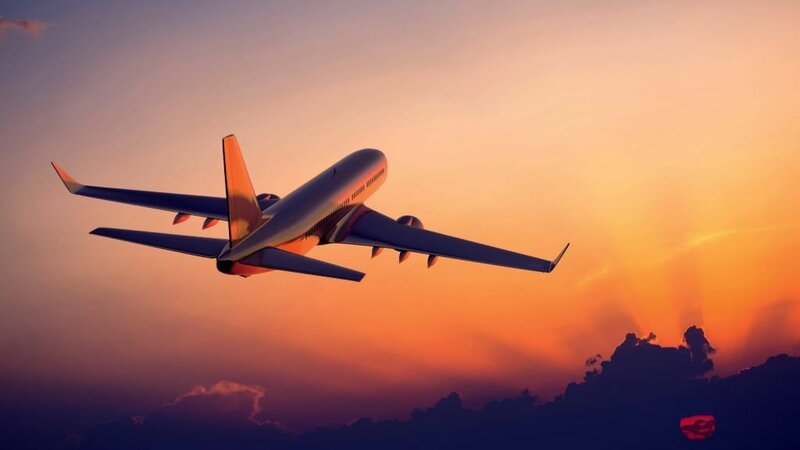 Provided that the holiday consists of two of the above elements it will be treated as a package holiday for the purpose of the Package Travel Regulations. These Regulations provide rights for consumers booking package holidays. The Regulations do allow the holiday provider to make some changes to the package provided that they do so before you depart. For example, they could change your hotel or the date that you leave. If the provider makes significant alterations then you do have the right to cancel that holiday and obtain a refund. If they offer you a similar package which is inferior to the one that you had previously booked then you are also entitled to the loss of value i.e. the difference in value between what you had previously booked and what you actually got together with out of pocket expenses. A number of package holiday operators are members of ABTA (the Travel Association) or the Association of Independent Tour Operators who you could also use to complain if the Travel Operator is not handling your complaint satisfactorily. The ABTA in particular is required to respond to you within 28 days of making the complaint. The other option that you have is to refer the matter to a Small Claims Court for claims up to the sum of £10,000 and we can provide you with legal advice in relation to making such claims if you require. What if the accommodation/hotel was not as advertised? The first thing that you should do is lodge an official complaint with the holiday provider. Make sure that you collect evidence of the accommodation so that you can later use this as part of a complaint i.e. photographs, video footage as well as making a diary of the events as they occurred. If you have had to incur extra expenses as a result of the accommodation not being as advertised then you should also keep records and receipts in relation to those expenses. There are a number of ways in which you could make a complaint. Firstly, you could complain to the company directly. You can also make a claim against your credit card. The Consumer Credit Act Section 25 states that a credit card company is jointly and severally liable for any breach of Contract or misrepresentation by a company for items or services that cost between £100 and £30,000 so a claim against your credit card could enable you to obtain compensation. You can also complaint to the ABTA Travel Association as stated previously or you could take legal action against the holiday provider for misrepresenting the Contract. A travel provider must perform with reasonable skill and care. Information that a travel provider gives is binding if you have relied upon it. If you do not agree a price with the travel provider beforehand it has to be a reasonable one. The timescale for carrying out the service i.e. for getting you to your destination, must be carried out in a reasonable period of time. The Consumer Rights Act gives you the right to make a full or partial claim for payback of a poor service. This can be anything from inadequate facilities to the travel provider being delayed or accommodation not being satisfactory. The Act allows you to make claims for financial losses which you suffer as a result of breach of Contract. Hopefully this Guide will give you some idea as to your rights when travelling and going on holiday. It is designed to be a summary and not a comprehensive Guide. If you require any advice on the matters covered by this article please do not hesitate to contact us on 01654 711499/01341 281108 or email abright@alwenajonesbright.co.uk.